As a restaurant owner, your employees are your most valuable resource. Payroll costs make up 35-40% of the revenue for fine dining restaurants, while the turnover rate for restaurant staff is the highest of any industry at 73%. Your staff will be the face of your business and a crucial part of your operations. It’s important to take the hiring process seriously and take into account things like their experience, attitude, and fit for your business. Failing to do this will result in staff who simply don’t care, or aren’t the right fit, which is disastrous for any brand. Think about the kind of person you want in your business. 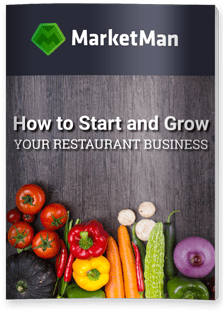 Someone who is a great fit elsewhere might not work well in your restaurant, and vice versa. Use the hiring process as a chance to really get to know the applicant and let them do the same. Different people require different management styles, and a one-size-fits-all approach won’t do the trick. One key example of this is with generations: while Millennials tend to value constant feedback, Generation X-ers would typically rather wait until they’ve asked for it. Failing to differentiate between the different demographics in your staff can result in alienating members of your workforce and losing out on the kind of variety that can make a workplace really flourish. The first few weeks for a new recruit is a critical time. They’ll be learning constantly, making mistakes, and may feel overwhelmed with all the new information and challenges. Businesses differ greatly in how they treat new employees; some prefer to throw them in at the deep end and see how they cope whereas others might assign them a more experienced mentor. Think about which approach will result in the employee feeling more empowered to do her job well. Make sure to cover more than just the basics during the training phase. Employees should be confident using things like a point-of-sale system and standard processes. It’s also important to make them aware of company culture and help them integrate into the wider team. Kitchen staff, in particular, should be familiar with your purchasing and order management software. Don’t just skim over this aspect of training; make sure they’re comfortable using it. Mistakes here can be costly. Remember to give regular useful feedback and communicate well. It can be tough to fit all this around your existing duties, but it will go a long way to ensuring your new recruits feel at home and can do their best. It’s a good idea to individually catch up with employees and pick their brains on how things are going, as well as giving feedback and addressing any concerns they might have. Watch out for conflicts among staff and be aware of any common complaints. If you pay attention, show appreciation, and give your staff what they need, you’ll be a lot closer to having a loyal, hardworking team that will serve your company well for many years to come.